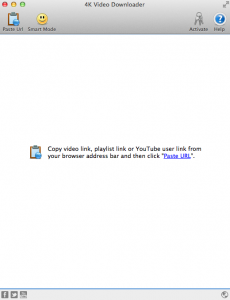 4K Video Downloader is a Mac App developed by Open Media LLC. If you want to be able to download video content from YouTube, this helpful app is worth trying out. 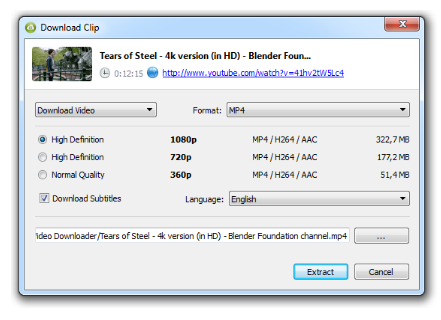 4K Video Downloader is totally free. In addition, this installers are guaranteed clean: no toolbars, no adware, and no malware! It’s nice to be able to download something with confidence. The app is supported for over half a dozen languages. This app is a great way to extract video and/or audio from YouTube, and it also allows you to put those videos on other devices, such as your iPhone or iPad. Your download speed is limited only by your internet connection. The interface here is super user-friendly, and really could not be any easier to use. 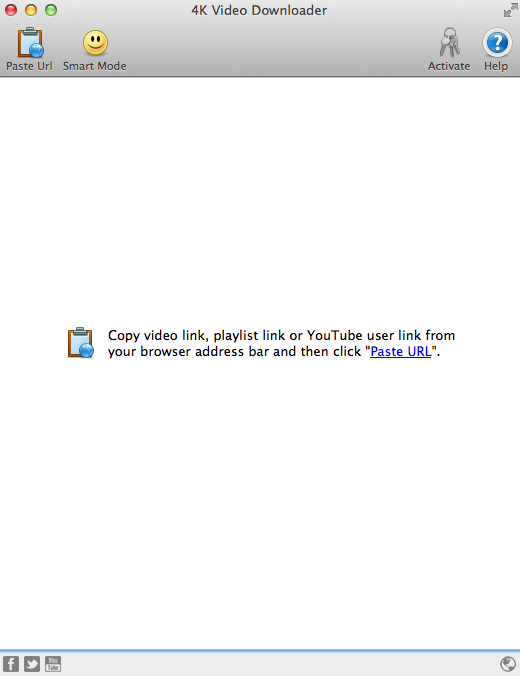 Just copy the video link from your browser and click ‘Paste Url’. Hey, presto, you’re done! One option that’s great in 4K Video Downloader is “smart mode.” By setting up this part of the app, you can do one-click downloads and pre-set the file format, quality, and output directory to your preferred settings. 4K Video Downloader is pretty much the whole package. It’s free. It’s really, stupidly easy to use. Best of all, it works great. If you need to gather YouTube videos for a project or your personal use, give this app a try! 4K Video Downloaderis an open source app that is compatible with Windows (including Portable), Mac OS X, and Linux. Supported operating systems include Windows 8, Windows 7, Windows XP,OSX 10.8, OSX 10.7, OSX 10.6, and Ubuntu Linux.